I love the movie “A League of Their Own”. It was one of my favorite movies from childhood. Tom Hanks, Gena Davis and Madonna were wonderful in this Penny Marshal film. 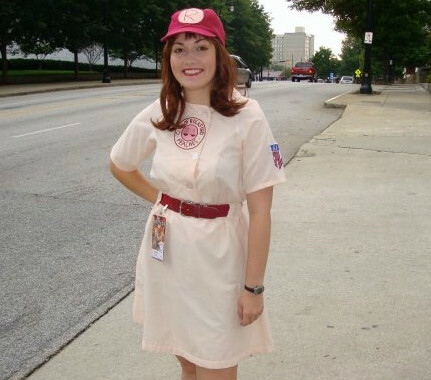 This is my version of the Rockford Peach uniform from the 1992 movie based on the uniform of the 1940’s All-American Girls Professional Baseball league. 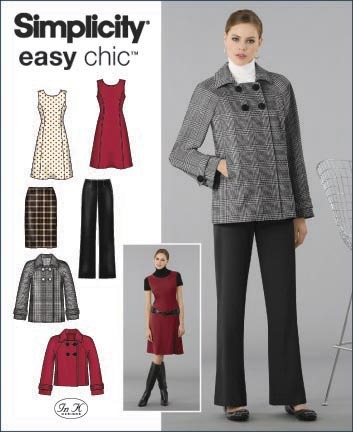 I used this pattern for the collar and front closure and modified the back to be more screen accurate by adding 2 pleats and a yoke. I also re-drafted the sleeves to fit the yoke and shortened them. I added elastic to the waistline and sewed on the skirt separately, but this seam is covered by the belt. After trying it on, belt loops were added. The belt and socks were purchased from a baseball supplier online, the under-bloomers are a pair of dark red Sofee shorts ($7 at Goody’s) and the hat was found in a closet. I used my Embird software to digitize my own sketch of the logos and they were embroidered on my Janome 350e. Cressie.com|ProPhoto Photographer Blogsite by NetRivet, Inc.